You have selected version 10.2 of Network Server Suite to download and upgrade. Please check the current installed version before continuing, as it is important that you already have version 9.x or 10.x installed. This can be verified by selecting the globe icon in the Enterprise Console. If you are a new customer, please continue to download and install. 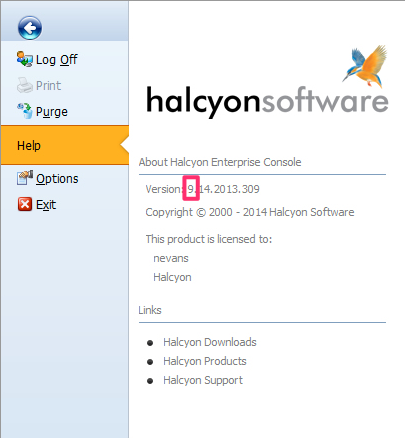 For existing customers contact technicalservices@halcyonsoftware.com to discuss your migration options.